It all started in 1889 when Charlemagne Mayot takes over a small bakery in Croix, near Lille in the North of France. 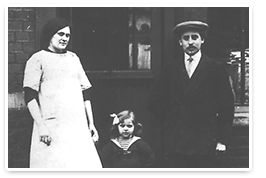 His son Edmond Mayot takes over the family business in 1908. Suzanne Mayot, Edmond's daughter, marries Julien Holder. They move into a bakery on Rue des Sarrazins in Lille, before buying back the PAUL family's bakery-patisserie, not far from the Grand Place. 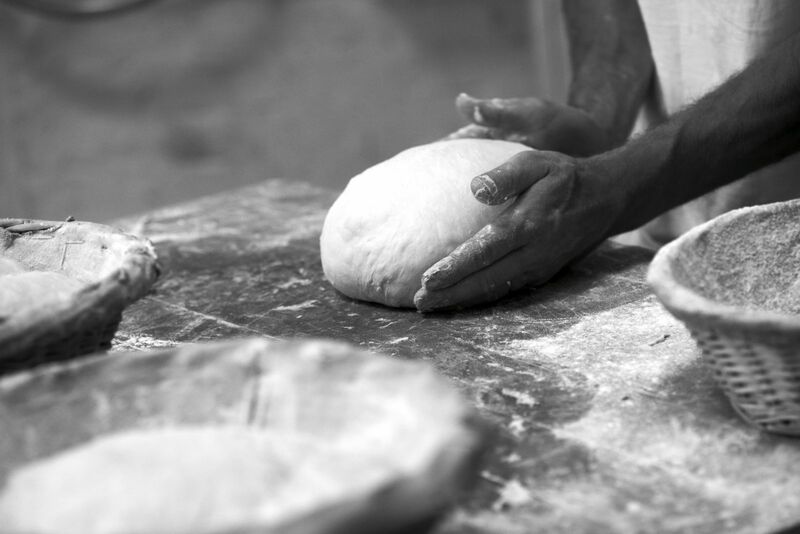 Their son Francis Holder becomes an apprentice in the family bakery aged 15. When his father dies in 1957, he takes over the business with his mother and develops it. The Nouvelles Galeries sets up shop close to the Holders’ bakery. It is both a risk and an opportunity : Francis solicits them and becomes their bread supplier. Then comes the rise of mass retail. 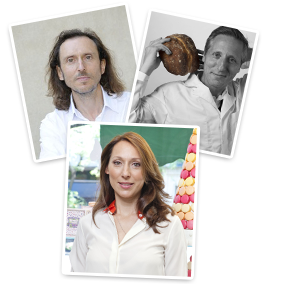 Francis enjoys challenges and does not hesitate to offer his bread to the region's fledgling businesses : Auchan, Monoprix and Accor Group.  It’s the beginning of the industrialization era and nothing will stop the company’s expansion. Francis Holder buys a brownfield site in the Lille suburbs (La Madeleine) and creates his first Moulin Bleu manufacturing site to serve his mass retail clients. Second stroke of genius for Francis Holder. Sensing consumers' penchant for age-old techniques and artisanal production methods, he buys a firewood oven and installs it in the PAUL family shop, in full view of his customers. 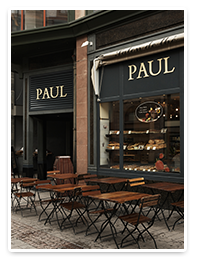 Success is such that PAUL bakeries flourish in shopping malls and in the town centres of France's major cities. Intuition leads Francis Holder to give his shops a last-century patina. The black shop fronts start to appear, giving a genuine "rustic-chic" identity to the brand. In the same year, he buys LADURÉE on Rue Royale in Paris. 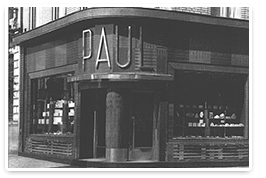 PAUL opens its first shop in London and signs a franchise contract with Elior for the development of its business on conceded sites. 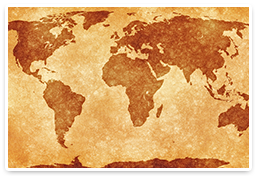 From this point on, the Group experiences an unprecedented development and expands all over the world. One of the most modern breadmaking factories in Europe opens in Marcq-en-Barœul, with a logistics platform of 10,000m2. The CHÂTEAU BLANC brand gains visibility on the market with the development of the first automated macaroons production line in the world and a cutting-edge viennoiseries production line. This year marks the start of the truly global expansion of PAUL and LADURÉE. Middle East, America, Asia… New shops are opened at a brisk pace all over the world. The Group celebrated its 125th birthday. A ripe age which doesn’t quench the company’s thirst for adventure. He may not be the kind of man to go into retirement, but Francis Holder has already made plans for the future : his sons and daughter work alongside him every day to develop the Group's businesses and to support him in his strategy of modernisation and preservation of original values.